We sent several of our reader mums the new Teksta 360 from Character Options to review. Why not see what they thought of this awesome electronic pet. The Tiger Tales – “Teksta comes from the Character Options toy brand. It’s aimed at 5 + years. 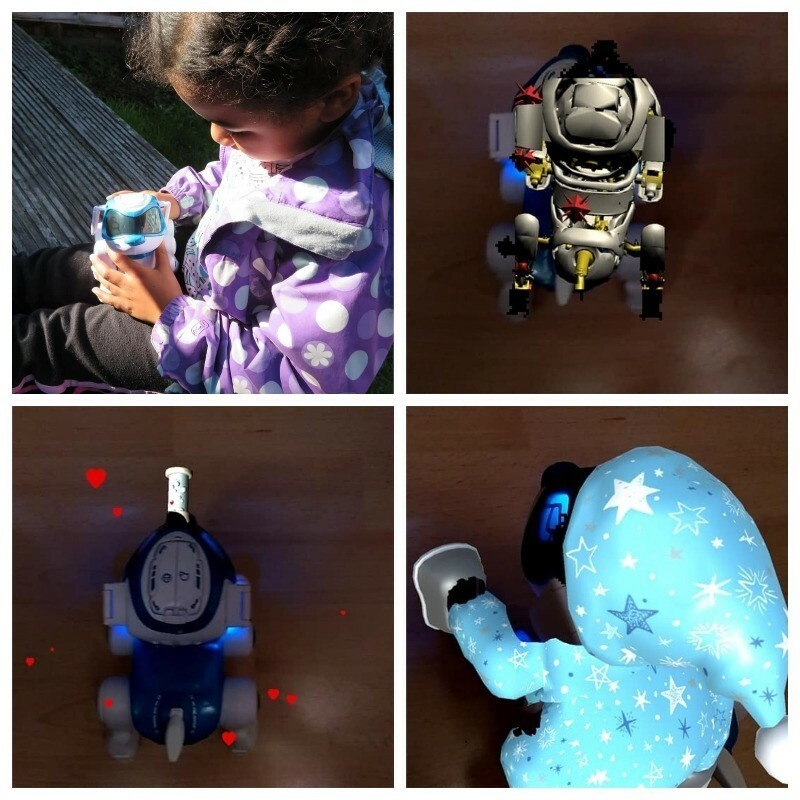 He’s portable and would fit easily into a child’s rucksack…He has the capability to walk, sit, beg, flip and interact. His eyes light up and his collar does too. Teksta certainly has won us over. 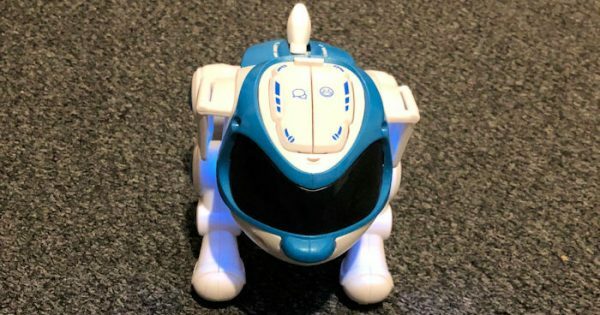 “Firstly, this lovable robotic pup has a number of fun and cheeky sounds that will keep little ones entertained for days on end. When Teksta was set to conversation mode he didn’t walk which is great because it meant he can be played with in smaller spaces and higher surfaces. You’ll know the mode has been set when you hear a ding. He would bark in this mode. On funny noise mode Teksta gets cheeky. He snored, passed gas and there was one sound I could quite put my hands; I’ll call it a kiss. He didn’t walk in that mode either. Stressed Rach -“[Teksta] It is a real robotic friend who will walk, bark, beg, cry, shows emotions and even does a 360 backflip. It can also be programmed to do tricks because of its artificial intelligence program; it will let you know how it is feeling or how well it is being cared for by its barks, whines, light-up collar and changing eye flashing patterns.